High Value Design (HVD) is a critical early-stage process in the creation of whole aircraft, major assemblies and complex systems. 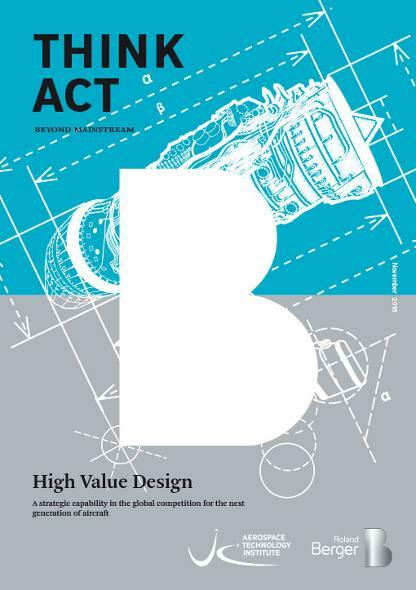 The presence of High Value Design has historically allowed the UK to capture a disproportionate share of economic value within the aerospace industry. The UK's High Value Design capabilities are at risk due to a combination of the reducing footprint of OEMs & Tier 1 suppliers in the UK, diminishing infrastructure, ageing experience base, regulatory authorities following suppliers' moves offshore, reduced military R&T funding, and a gap before the next generation of large commercial aircraft are launched. Action is required to strengthen the UK's HVD capabilities in order to secure the UK's participation in the next generation of aerospace programmes.